Spoon pie filling evenly into ungreased 9 or 8-inch square (2-quart) glass baking dish. Sprinkle brownie mixture over pie filling. Bake at 350°F. for 30 to 40 minutes or until edges are bubbly. Cool 45 minutes. To serve, spoon crisp into bowls. 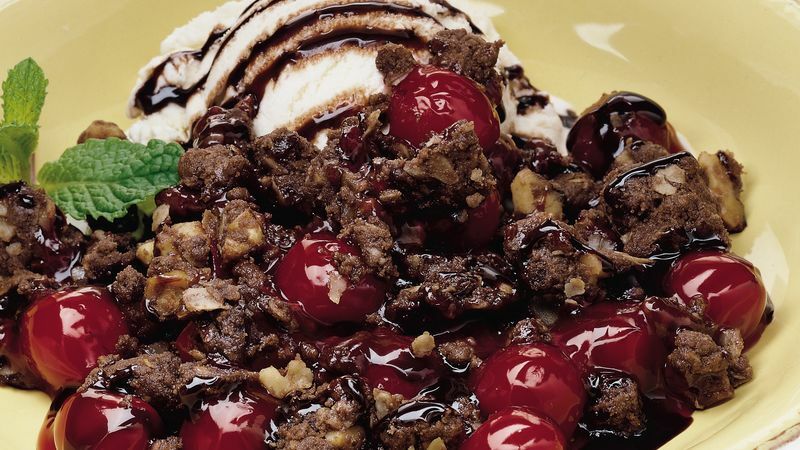 Top each serving with ice cream; drizzle with chocolate syrup from packet. Garnish with mint sprigs.